As you may have seen in my recent post about my recent visit to Regina, I stopped in at the Cathedral Bakery for some treats for our girls night. I've been to Cathedral Bakery before, but I haven't really highlighted it here on the blog. Cathedral Bakery is located in Cathedral Village in Regina, right off of 13th Avenue (which is definitely an area you should visit if you're ever in Regina). I first came across this bakery one summer when I was wandering the area on a beautiful, sunny day, and after walking in and seeing the awesome selection of cupcakes I was completely hooked. 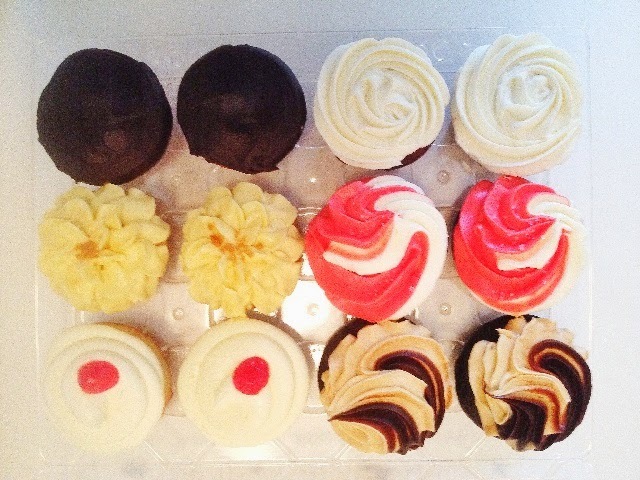 This time around I went with a dozen cupcakes for the girls night. We cut them into halves so that we could try more flavours. I wasn't able to try all of the ones I picked up (it's a good thing I had to share), but they were all hits with the group. 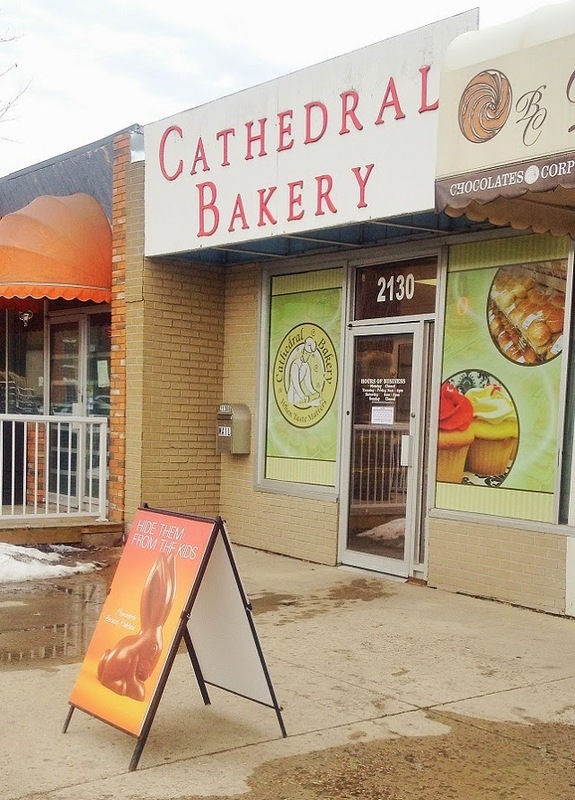 Have you ever been to the Cathedral Bakery in Regina? Any other dessert or treat recommendations for next time I visit? Thank you! This is one of the best bakeries I have ever been to.